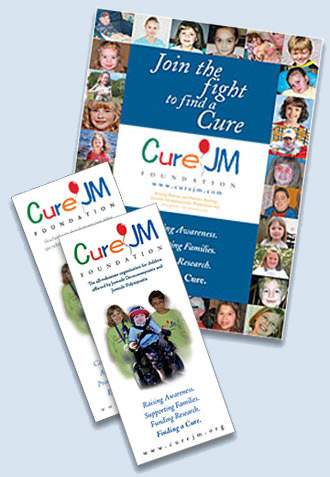 Cure JM has brochures, posters and flyers to help with your fundraising efforts. For large fundraisers, we can create a flyer for you. We may also be able to support your efforts with wristbands or T-Shirt designs. Please contact your Team JM Leader for more information. Looking for a fun way to sign up sponsors for your local Cure JM jog-a-thon, bowl-a-thon or our next national fundraiser? Cure JM Sponsor Sheets help you spread the word and make it easy for people to sign up to help. They're ideal for company break rooms, community centers, waiting rooms and anywhere else where people congregate. A portion of your purchase goes to Cure JM.